I've always wanted a window on my ceiling, so I can watch the stars before I fall asleep. It's still one of my dreams and if I ever have my own house I'm gonna definitely make it happen. 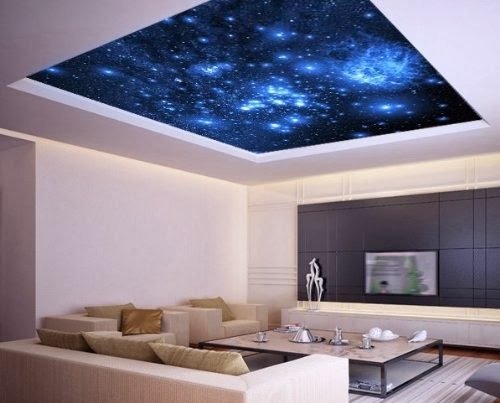 For now this awesome galaxy ceiling sticker sounds like a great idea.